Due to the increase in devastating vulnerabilities abusing AJAX and Google to hack the web more users are switching to 'safer' alternatives such as Gopher and Archie. 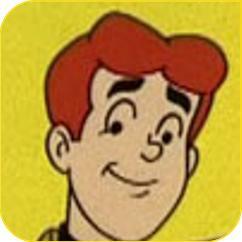 Johnny Long was quoted as saying 'My next book on Archie hacking 'Jughead for idiots' will be out in late 2008 and I promise it will contain many search strings'. A google representative has confirmed that google will be switching to Veronica in an effort to protect its users. Users wishing to switch their websites are being urged all over to switch to the python gopher server 'pygopherd'. The lead pygopherd developer posted the following on his gophered blog "People laughed at us, first for using python and second for developing something for Gopher. Who's laughing now!""